No, I didn't burn my tongue on a bite of hot salsa (although that's happened to me before, in a seriously painful way). 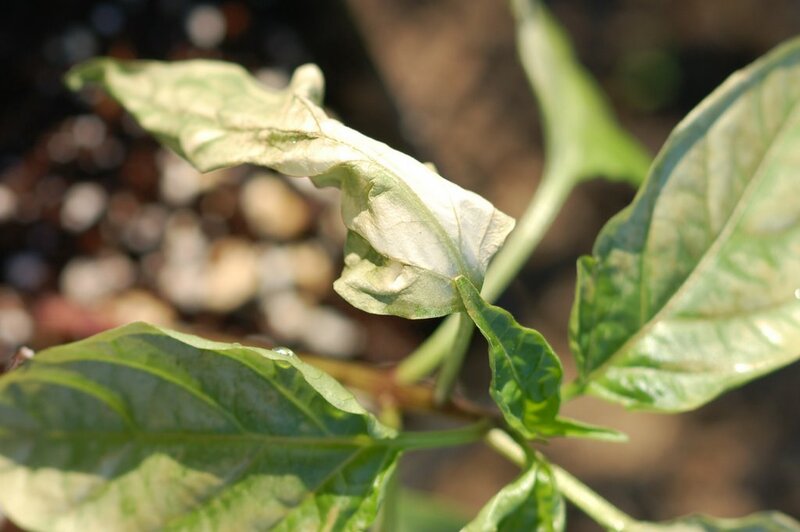 The problem is our ailing jalapeño pepper plant. 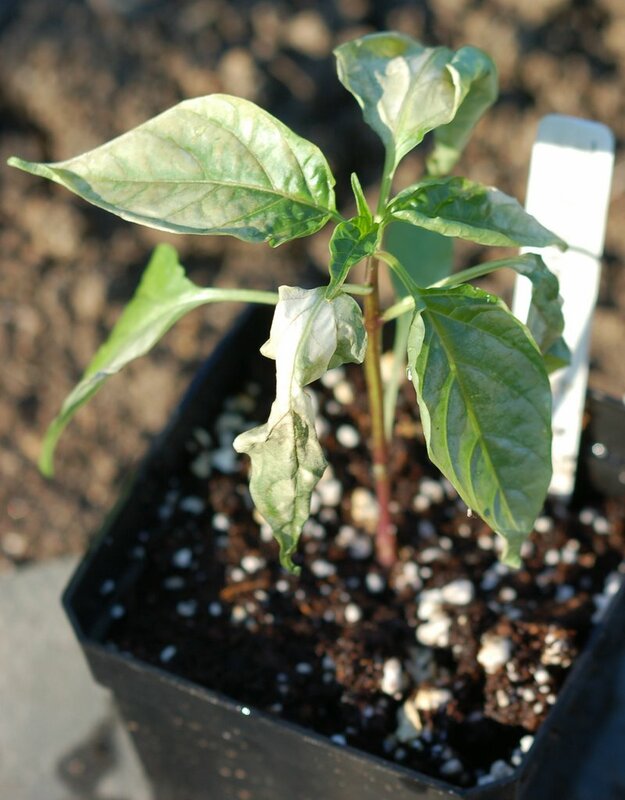 We set out our pepper plants to get acclimated to the outdoors. Within the next day or two, their leaves started turning white, papery and wilted. It's almost as if the leaves started disintegrating. This has happened to us before, also with our tomato plants. Usually, the inner leaves will be fine and the plant will survive. But sometimes, this "illness" can do them in completely. I am trying to figure out what it is so we can prevent it in the future. Any ideas? Advice? I'm guessing that the sun is too strong, try acclimating them under a shade cloth. Will the peonynapper strike again?